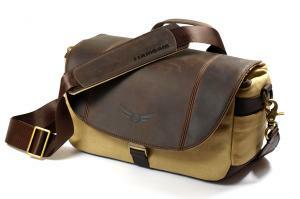 ANGUS photobags combine the best bull´s hide and waxed cotton-canvas. Both materials are joined manually and precisely by flat welds and form an extremely robust and high-grade camera bag with a classical appearance. All leather used for the ANGUS bags is vegetable-tanned. 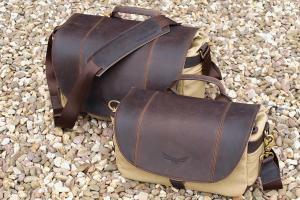 The natural markings remain unchanged and every bag gets it´s unique patina. The leather surface is not artificially sealed, but is waxed naturally to be protected from environmental influences. Just as well the cotton-canvas is waxed before sewing. The waxing creates a natural humidity barrier, an unmistakable touch and a good pliability on particularly exposed areas. 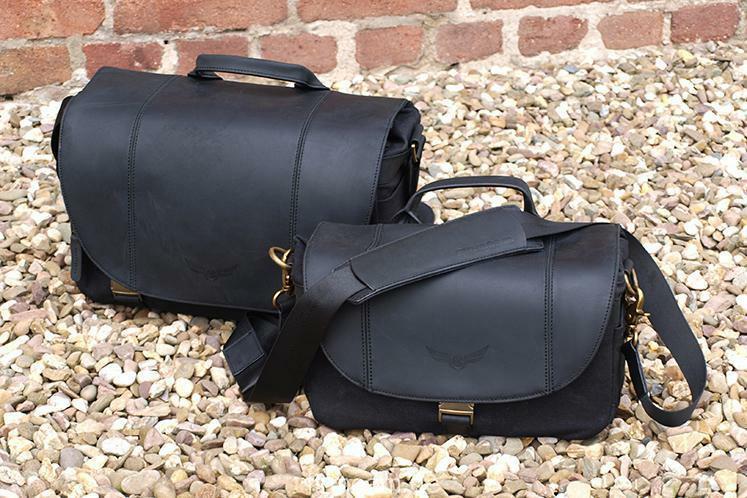 Both materials are sewn together with the technically highest precision and quality. A particular attention is paid to the points most strained. 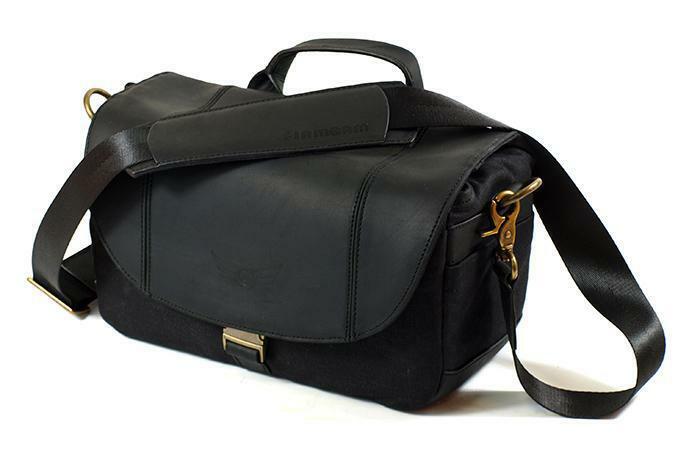 Leather reinforcements and metal rivets strengthen shoulder strap and handle permanently. 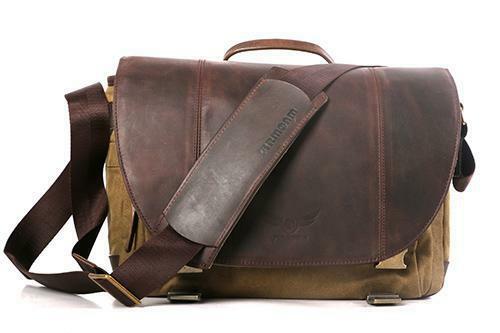 The special backstitching of the leather bottom provides a great durability. 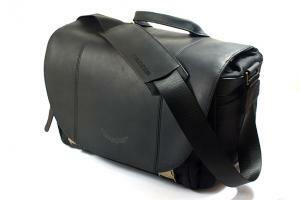 Also especially durable are the metal carabiners and buckles. On the inside of the ANGUS photo bag all natural materials are replaced by soft polyester-velour, which protects even the highest quality equipment. A stable yet soft padded dividing system provides the necessary support. 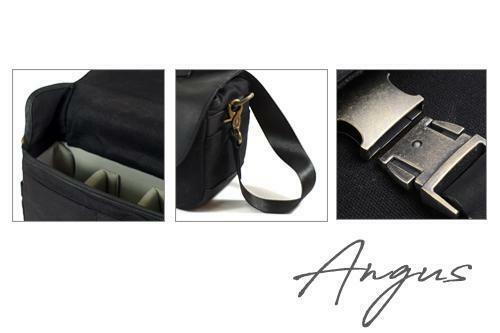 In addition to the two regular dividers the ANGUS bag size large also disposes a foldable divider and a second padded back which can be used to separate a tablet compartment or for an even more individual inner division. 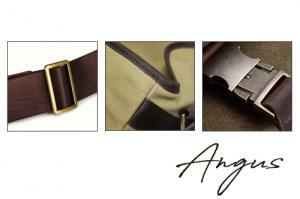 Circulating side pockets span most of ANGUS´ outer surface and create additional space for accessories of all kind. Sheltered by the cover flap the ANGUS size “Small” has two attached pockets. Size “Large” hides a bigger zipper pocket under its cover flap which also provides leather inside pockets to fasten accessories like memory cards, batteries etc. Both sizes come with a weather protection cover made of impregnated cotton and a handy dust bag. ANGUS photo bags are availlable in two sizes and two colors.